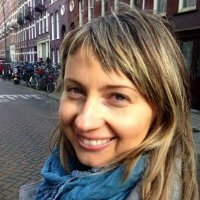 Izabella Majcher, Researcher at the Global Detention Project, is a researcher in international human rights and refugee law, with expertise in European Union’s immigration and asylum policy. Her research at the GDP focuses on the international legal framework governing immigration detention and detention regimes in European Union and Latin American countries. Izabella is also a volunteer visitor to immigration detainees in Geneva, with the Ligue suisse des droits de l’Homme. She holds a PhD in international law from the Graduate Institute of International and Development Studies (IHEID) in Geneva. Her doctoral dissertation assesses the European Union’s policies targeting undocumented migrants and their compatibility with international human rights law. “GCM Commentary: Objective 21: Cooperate in facilitating safe and dignified return and readmission, as well as sustainable reintegration,” Refugee Law Initiative (RLI) Blog, November 2018. “OBJECTIVE 21: Cooperate in facilitating dignified and sustainable return, readmission and reintegration.” In First Perspectives on the Zero Draft (5 February 2018) for the UN Global Compact on Safe, Orderly and Regular Migration, edited by E. Guild and T. Basaran. February 2018. “The CJEU’s Ruling in Celaj: Criminal penalties, entry bans and the Returns Directive.” EU Law and Analysis, October 2015. “Human Rights Violations during EU Border Surveillance and Return Operations: Frontex’ Shared Responsibility or Complicity?” Silesian Journal of Legal Studies 7, July 2015. “Immigration detention in Europe: What are the facts? A new European Migration Network Study.” EU Law and Analysis, December 2014. “The EU Returns Directive and the Use of Prisons for Detaining Migrants in Europe.” EU Law and Analysis, July 2014. “Crimmigration in the European Union: The Case of Immigration Detention.”crImmigration, February 2014. “The European Union Returns Directive: Does it Prevent from Arbitrary Detention?” Oxford Monitor of Forced Migration 3(2), November 2013. ‘Crimmigration’ in the European Union through the Lens of Immigration Detention. Global Detention Project Working Paper No. 6, September 2013. “Immigration Detention as a Challenge to Realisation of the Global Compact’s Objectives and the Goals of Agenda 2030.” The conference “Migrants’ Rights at a Crossroads: Seizing the Moment(um) of the UN Global Compact for Migration and the SDGs 2030 to forge a new path for the protection of migrants’ rights.” University of Leicester, 22 March 2019. (With M. Grange). “Foreign nationals in detention: Human rights standards.” Expert workshop “MSF work in detention settings,” organized by MSF Italy. Rome, 22 November 2018. “Crimmigration in the Recast of the CEAS: Detention and Restriction on Movement of Asylum Seekers under EU Law.” The 4th CINETS Conference “Mobility and Security in an Era of Globalization: Crimmigration at a Crossroads?” London, 5-6 October 2018. “The Pan-European Entry Ban Based on a SIS Alert: What Protection of Personal Data?.” The 15th Annual IMISCOE Conference “Europe, Migrations and the Mediterranean: Human Mobilities and Intercultural Challenges .” Universitat Pompeu Fabra, Barcelona, 2-4 July 2018. “The Effectiveness of the EU Return Policy at All Costs: The Coercive Use of Administrative Pre-removal Detention.” Conference “Understanding Causes and Consequences of Criminalization of Migration,” organised by Peace Institute and CINETS. Ljubljana, 17-18 May 2018. “Immigration Detention in the European Union: Research and Advocacy.” The OSIFE Protection and Rights of Migrants Grantee Convening “Between Politics And Enforcement: Safeguarding And Advancing Migrant Rights In Europe.” Madrid, 18 – 19 September 2017. “Laws and Practice of Immigration Detention in the European Union: European Union Law vs. International Human Rights Law.” The 108th Annual Conference of the Society of Legal Scholars (SLS) “The Diverse Unities of Law.” University College Dublin, 5 – 8 September 2017. “The European Union Pre-Removal Detention Regime: Containment vs. Fundamental Rights.” The side-event to the Human Rights Council’ 35th session “Local Perspectives And Global Challenges For The Defense Of Migrants’ Rights,” organized by Centro de Estudios Legales y Sociales (CELS) and CONECTAS Direitos Humanos. Geneva, 21 June 2017. “The EU Hotspot Approach and Expansion of De Facto Immigration Detention.” The 2st Annual Conference of the Refugee Law Initiative “Mass Influx? Law, Policy and Large-Scale Movements of Refugees and Migrants.” University of London, 5 – 7 June 2017. “Trends in Immigration Detention in the European Union.” International Institute for the Sociology of Law (IISL) workshop “When The Exception Becomes The Rule: European Societies On The Move.” Oñati, Spain, 4-5 May 2017. “Outsourcing Refugee Protection to Turkey and elsewhere.” The 1st Annual Conference of the Refugee Law Initiative “The Future of Refugee Law.” University of London, 29 June-1 July 2016. “Freedom of Movement and Restrictions thereof, including Detention.” Seminar at the International Refugee Law Course for Lebanese officials organized by the International Institute of Humanitarian Law (IIHL) and UNHCR. IIHL, Sanremo, Italy, 15-19 November 2015. “Immigration Detention under EU Law and International Obligations of Member States.” The conference “Regulating ‘irregular’ migration: International obligations and international responsibility.” National and Kapodistrian University of Athens, 20 March 2015. “European Union Immigration Detention Regime: A Manifestation of Crimmigration?” The CINETS network conference “The Borders of Crimmigration.” Leiden University, Netherlands, 9-10 October 2014. “Measuring Immigration Detention: An Introduction to the Global Detention Project’s Data Design and Methodology.” The Asia Pacific Refugee Rights Network’s 5th Asia Pacific Consultation on Refugee Rights. Bangkok, Thailand, 3-4 September 2014. “Immigration Detention in the EU: De Facto Criminalization?” Conference “Migration Policy Conference: Stockholm and Beyond.” Dutch Ministry of Security and Justice, The Hague, Netherlands, 9‐10 December 2013. “Global Detention Project’s Immigration Detention Database.” The Regional Consultation on Immigration Detention for South Asia and South East Asia (co-hosted by the Asia Pacific Refugee Rights Network, International Detention Coalition and UNHCR). Bangkok, Thailand, 7‐8 November 2013. “Mapeos nacionales de la situación de detención y las alternativas.” The International Detention Coalition’s regional workshop on Central America. Guatemala City, Guatemala, 11‐12 September 2013. “Illegality Regimes in EU Law: The Case of Immigration Detention.” The conference “Illegality Regimes.” VU University Amsterdam, Netherlands, 30‐31 May 2013.